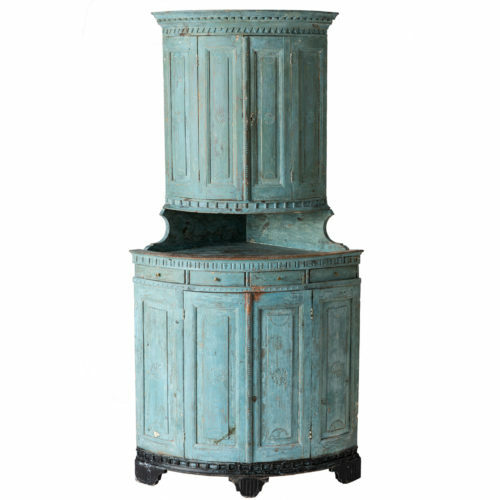 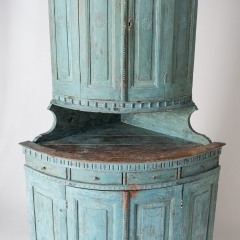 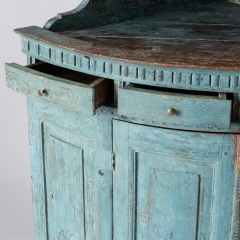 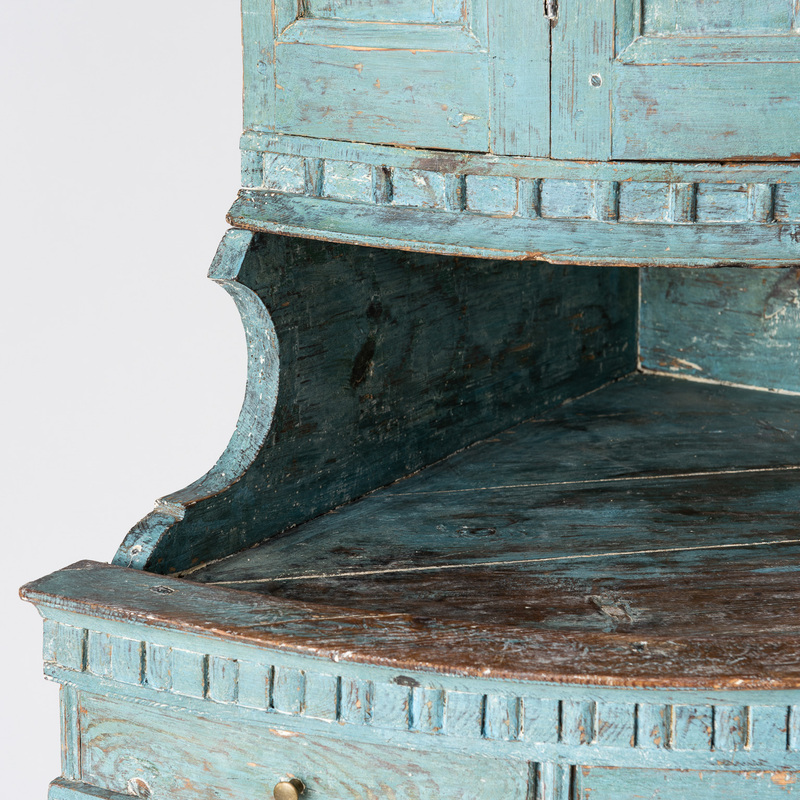 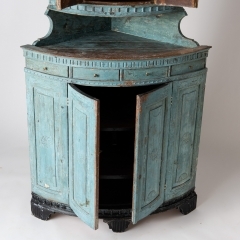 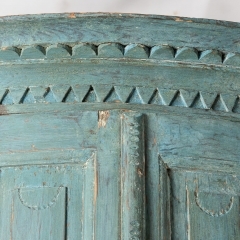 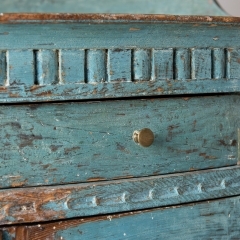 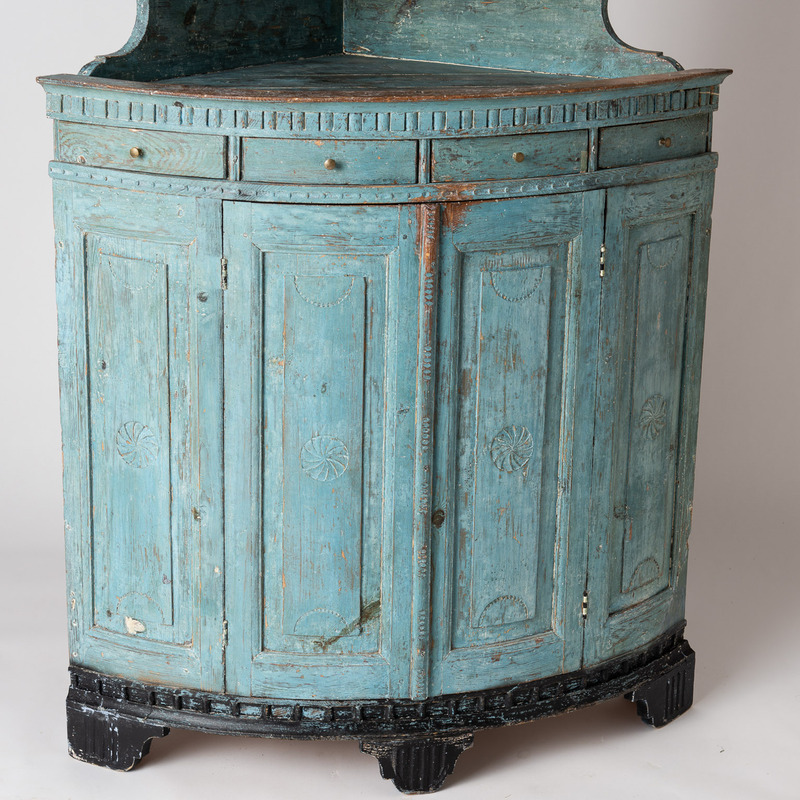 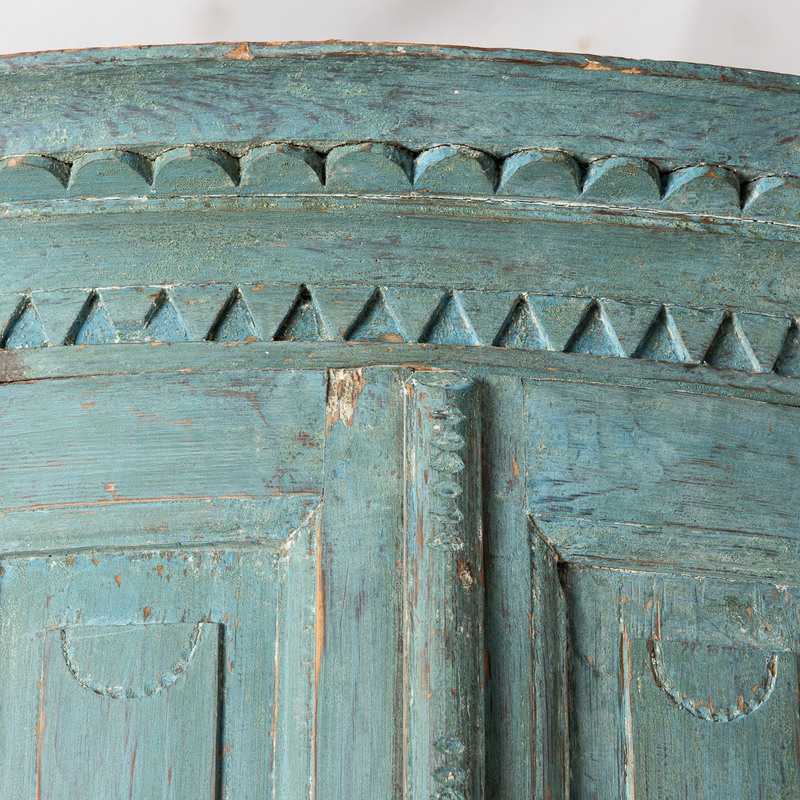 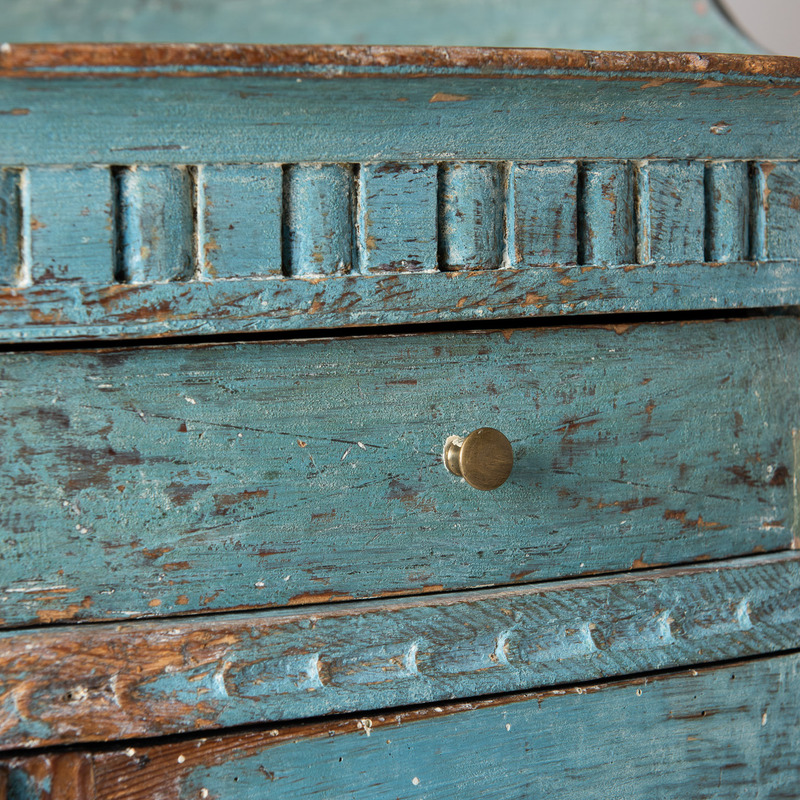 The original blue paint on this cupboard can only be described as perfect, epitomizing everything we love about Swedish blues. 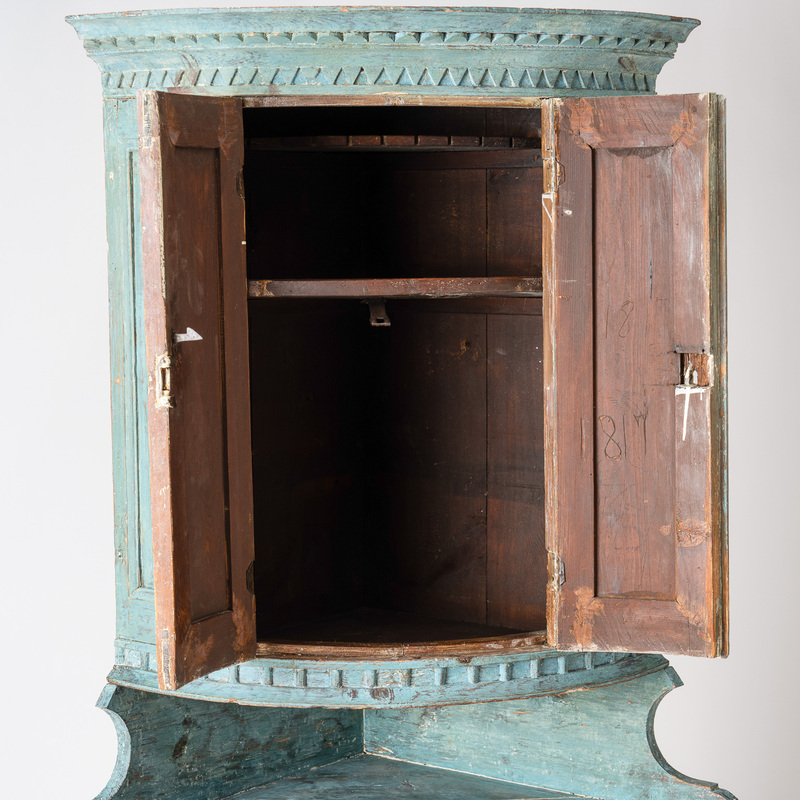 The cupboard itself has a series of carved moldings on the top and bottom of the upper section, which are repeated on the bottom portion surrounding four narrow drawers. 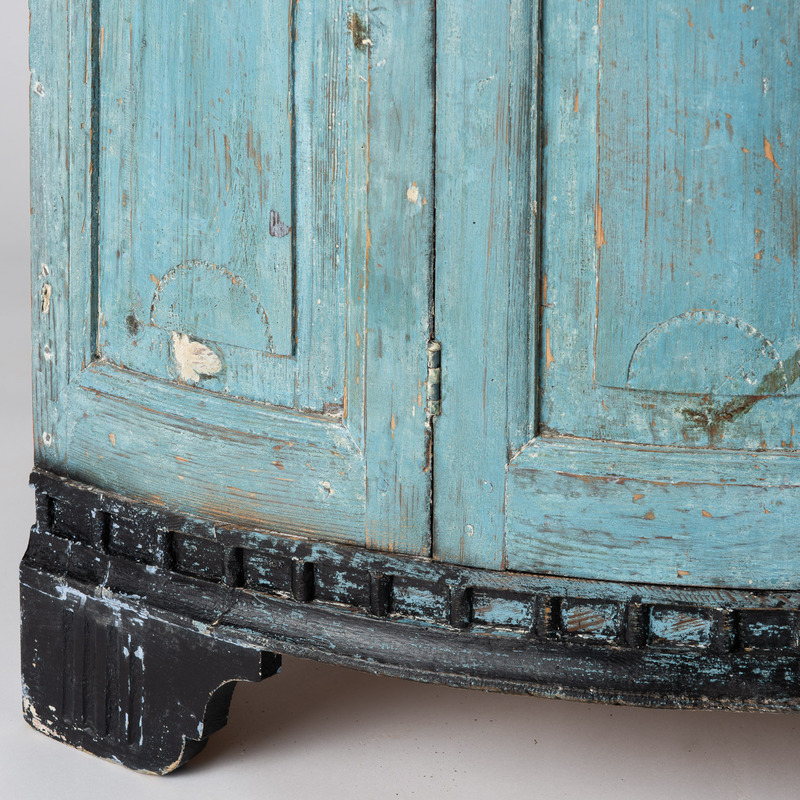 Each series of carvings varies slightly, adding to the visual appeal of this piece. 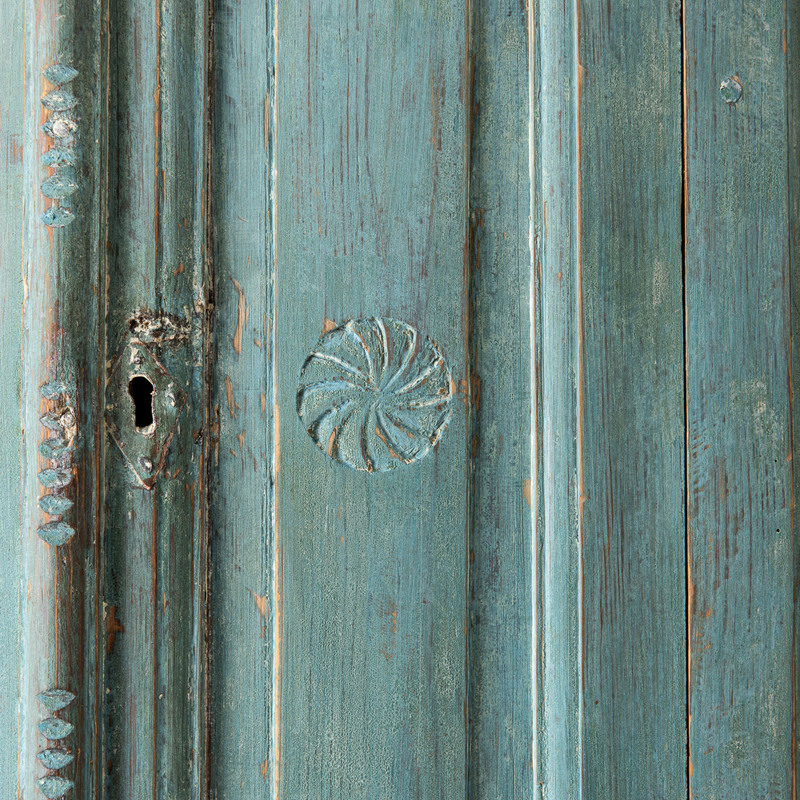 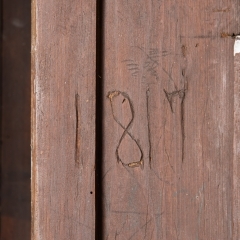 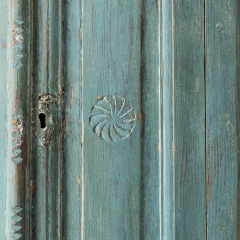 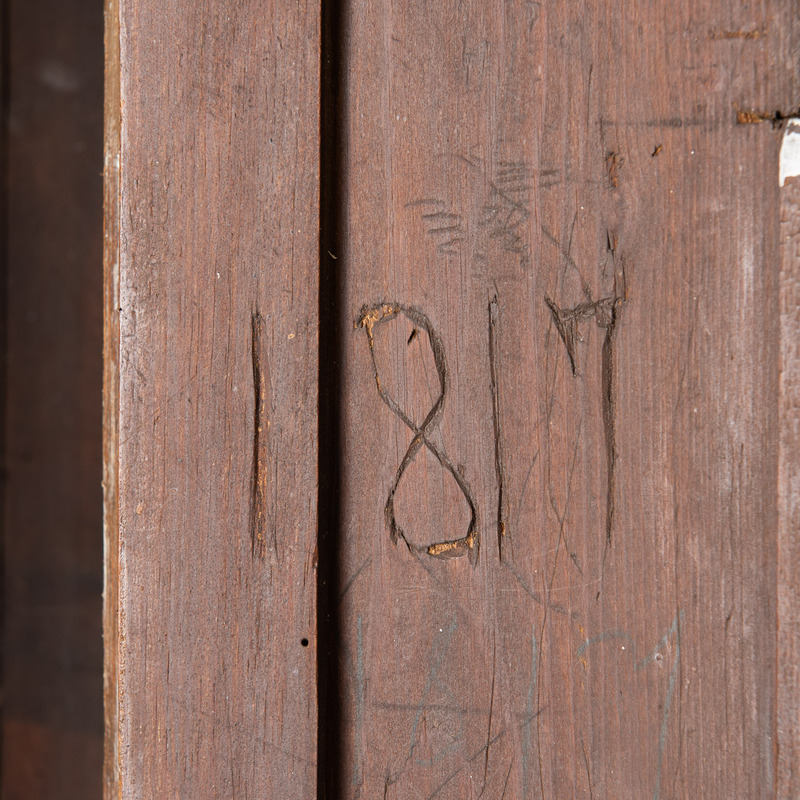 The doors are decorated with subtle folk art carvings of pinwheels, and the base with old black paint. 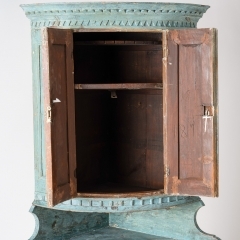 This perfectly proportioned two-part cupboard is surely the work of a creative cabinet maker.